The first and to date only Equity Stage Hypnotists meeting took place in Loughborough during May 2003 and it was agreed at that time that it should be a yearly event, a suggestion that was raised and also agreed upon as I understand it at that years Equity AGM, however for some reason the voted for and agreed upon promised yearly Hypnotists meeting never happened again until now! So here we are, almost Eight and a Half Years later and we are finally being given another audience with Equity, something that I have been pushing for along with my colleague and Hypnosis Student, Former Yorkshire Equity Variety Branch Chairman Chris Lee for quite some time now. So what has happened in the Past eight and a half years since the last Equity Stage Hypnotists meeting? Sadly Equity member and Hypnotist Delavar (my original Hypnosis mentor and great friend) who was at attendance at the first meeting in 2003 has passed away, and other greats from the world of Stage Hypnosis such as Gil Boyne and Ormond McGill have also passed away. However frankly where Equity is concerned very little indeed has happened in the past eight and a half years, they did finally manage to get an insurance policy for members, however at a cost of around £700+ per Hypnotist and amongst other things there were conditions attached to getting this insurance such as you have to be at least 25 years of age and any claims if made have an excess to be paid of £500. Plus of course you had to be on The Equity Stage Hypnotists Register and agree to their code of conduct and rules in order to be eligible to get the policy, rules that include having no choice but to agree to perform subject to all elements of the 1952 Hypnotism Act and also the Government Guidelines of 1989 as amended in 1996. Further the Stage Hypnotists Supervision Panel has to vet people and decide if they are acceptable for the insurance policy amongst other things. a) Why has it taken almost eight and a half years for a second Equity Hypnotists meeting to take place? b) Why is the insurance policy, which unlike the majority of Equity Members has to be paid for from the Hypnotists own pocket on top of their yearly Equity Membership fee so damn expensive? c) Why do you have to be 25 years of age to get the policy? This itself for example meant that my hypnosis student and Equity Member Robert Temple could not get this policy and still can’t until next year when he turns 25 so has had to seek insurance from another source. 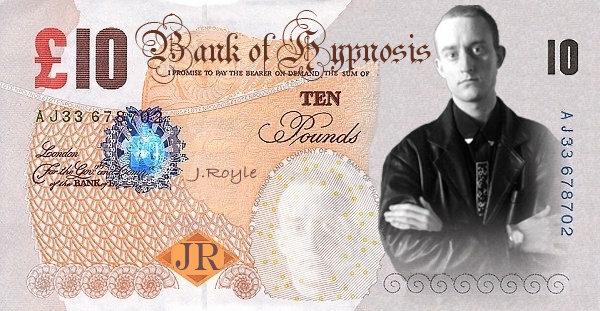 d) Why is the excess payable by the Hypnotist if any claim is made so high at £500 per claim? e) Why do we have to abide by everything in the 1952 Hypnotism Act and Government Guidelines in order for the insurance to be valid, when in truth many Hypnotists perform on occasion without such Council Permissions being in place thus invalidating their insurance policy? f) Who exactly decides who should be on the Equity Stage Hypnotists supervision panel and what qualifies those who are appointed to decide if someone is suitable to get the insurance or not? g) Why is there no mention anywhere of the Hypnotist being obliged to have a current Home Office Health & Safety Executive Approved Risk Assessment for their acts in order for the insurance to be valid? h) Why is there no mention in the Equity Register of Hypnotists Rules of Membership that members are legally obliged to have a Risk Assessment for all of their performances, and are legally obliged to abide by all Health and Safety and Duty of Care Laws? b) Provides Five Million Pounds Public Liability Cover (but if needed as required by a few UK Councils can be extended to Ten Million Pounds Cover on a “as needed” or yearly basis for a small additional charge. e) For a tiny additional fee can be extended to cover for any other places you may wish to perform in the world on either an “as need” or yearly basis. f) Has an excess on any claim of Less Than £500. h) Anyone from the age of 18 can get the policy and you don’t have to be vetted by some supervision panel before being able to get it. i) In short in all cases is FAR CHEAPER than the Equity Policy and in truth is the CHEAPEST policy of its kind available anywhere in the UK Today for use by Stage & Street Hypnotists, and also for use by Magicians and Mentalism Performers who combine Hypnosis with their tricks. c) You must have a Professional Standard Health & Safety Risk Assessment in place for your act, something that is taught in depth on The Transparency Template DVD’s by an experienced Health and Safety Officer who as one of my past Hypnosis Students now also works as a Stage Hypnotist and so is uniquely placed to advise on such matters. d) The Policy does not say that it is for Stage or Street Hypnotists and in truth does not mention the word Hypnotist or Hypnosis, however you can still perform 100% Legally (as advised on the DVD’s) advertising yourself as a Hypnotist without any problems and be covered in all manners by the insurance for all your Hypnotic Style Activities just so long as you do them as instructed and advised on “The Transparency Template” DVD package. e) The actual Policy states that it is for Mind Magicians – Persuasionists and Psychological Illusionists who use a combination of NLP – Verbal Linguistics – Psychological Trickery and Human Manipulative Psychology in their acts and performances to create Hypnotic Style Phenomena. Check out the meanings of all those words and you’ll realise that however you look at it the policy DOES COVER HYPNOTIST’S for exactly what we do, especially when you follow the advice and instruction on “The Transparency Template” DVD’s. a) It is a Legal Requirement for any business to have a proper Risk Assessment in place and after studying this package you will most certainly have that, indeed it will be to a level that is far superior to any Risk Assessment you may currently have been using. b) The policy is Hundreds of pounds cheaper each year than anything else on the market and for the record is underwritten by Lloyds of London. c) Many of my past hypnosis students have already been using this policy for the past year and have had absolutely no issues in getting licenses granted by any Council District. d) Indeed one of my students using the policy together with the Risk Assessment put together as per The Transparency Template and also in combination with the application advice given on the DVD’s has successfully had a blanket One Year License granted which allows them to work anytime, anyplace, anywhere in Herefordshire without having to make separate applications for each show as is usually the case, and there is no reason why you could not achieve the same by following the advice given. a) I have sold the rights to “The Transparency Template” DVD’s in their entirety to Russell Hall of Magick in Sheffield– www.magick2go.com and therefore I do not personally profit any further in any manner at any time from the sales of these DVD’s. b) When you have studied the DVD’s and become eligible for the insurance (the source of which is revealed in the training package) you will be dealing directly yourself with the insurance company and I do not get any form of commission or kick back as that would be illegal as I am not an insurance broker. My only involvement has ever been to spend months and months contacting every insurance company in England and negotiating this policy for the benefit of those in the Hypnosis Industry. c) I won’t even get to find out that you’ve bought the DVD’s or have obtained the insurance policy (unless you tell me yourself) so you don’t have to let your ego or any personal issues you may have towards me get in the way of saving yourself money and becoming the SAFEST and most COMPETENT Hypnosis performer than you could ever become. f) Perhaps one of the biggest benefits to you of studying the “Transparency Template” DVD’s is the fact that after extensive consultation with various Legal Experts and extensive Legal Research, you will discover numerous ways to enable you to perform 100% Legally, Lawfully, Safely and in a fully Insured manner without ever needing to apply for any form of Local Council Permission or License (even and especially in Towns and areas of which there are still several who make it clear that they won’t grant licenses for shows to perform in their area) this tried, tested and proven to work information alone can make getting more bookings easier. g) And for those times when you do have to (or choose to) apply for a License from the Local Authority you’ll discover how (in the vast majority of cases) to get this granted FREE OF CHARGE even in areas where you may have been charged by the Council before thus saving you money into the bargain! h) You’ll learn the proven approach to applying for Licenses that ensures they are granted without fail and more importantly granted on YOUR TERM’S thus meaning for example that if you want to perform Human Full Body Catalepsy or similar stunts in your show (as Derren Brown did in his recent tour) then you can choose to do so 100% Legally & Lawfully (as long as all Health and Safety elements are in place as advised) without being restricted by the 1989 Government Guidelines as amended in 1996 which are usually attached as a condition of licenses being granted under the 1952 Hypnotism Act. So With Reference To Health & Safety – Cheap Insurance – Risk Assessment’s and UK Hypnosis Laws for Stage Hypnotists that’s all I want to say for the benefit of those attending the 2011 Equity Stage Hypnotists Meeting, so now onto the subject of Illegal, Dangerous, Uninsured Street Hypnotists. In recent years an alarming and worrying ever increasing number of Hobby Hypnotists have been popping up all over the place and going out on the Streets and also into Licensed premises across the land hypnotising people for fun without having the correct insurances, licenses or other health and safety stuff in place (such as the correct safety knowledge and risk assessments etc). Indeed in many cases these people have not even been taught enough about hypnosis itself and their lack of hypnosis training alone makes them potentially dangerous to their subjects and the hypnosis industry as a whole. I and many of my colleagues have made numerous attempts to make these almost “cultish” groups aware that they are breaking laws and should have the correct insurances and risk assessments and such in place but to no avail. Not only have the majority chosen to ignore the advice they have been given, several of those who run courses teaching people “Street Hypnosis” have actually stated on public forums that in their opinion there is no need for licenses etc and that what they are doing is not illegal or dangerous. Many of these people who are running these “Street and Impromptu” hypnosis courses are actually EQUITY MEMBER’S and thus by their actions are potentially bringing Equity’s name into disrepute, further many of the people they have taught are Equity Members in their professional role of Mentalism or Magical Performer and in many cases are stating on their websites that they offer Hypnosis in conjunction with their magical and mentalism performances and thus again their “Street Hypnosis” activities could potentially bring Equity and also the Hypnosis Industry as a whole into disrepute when a serious accident occurs, as unfortunately is guaranteed to happen sooner or later. Now Let me make this quite clear, I have absolutely no personal axes to grind here and in truth have nothing against the idea of Hypnosis being performed on the Street and in public just so long as it is done Legally, Lawfully, in a correctly INSURED manner and most importantly SAFELY. 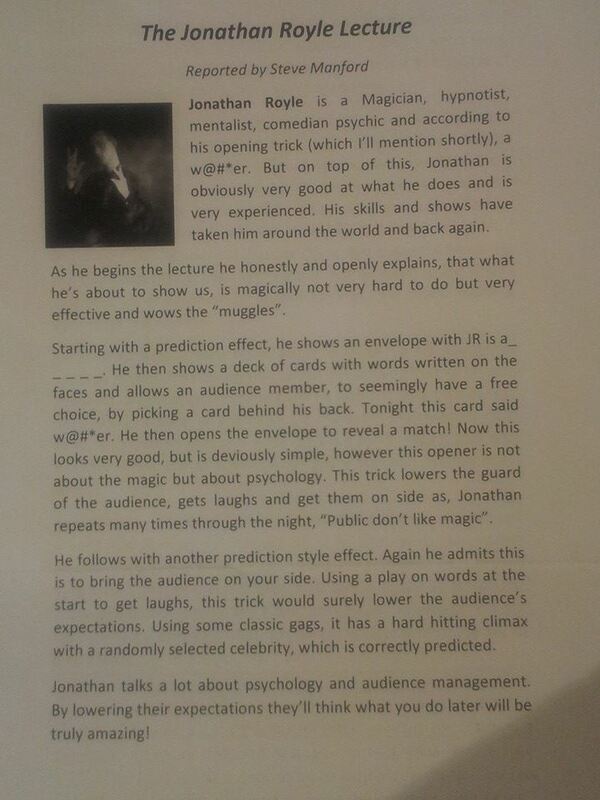 This also applies to all the Magicians and Mentalism performers who combine a little “hypnosis” into their work, many who have been arguing on the internet that because they don’t do a full hypnosis show they don’t have to have such insurance (relevant to hypnosis) , risk assessments and such like in place which itself is untrue to say the least as such things are legal requirements and to not have such in place is I am advised actually CRIMINAL NEGLIGENCE under various laws. Videos Galore are popping up on You-Tube on an almost daily basis of these “Street Hypnotists” placing people into positions of potential danger by for example hypnotising them close to the edge of pavements as traffic rushes by and such like, where all it takes is for someone to have an abreaction and they could fall or run into the road and get seriously injured if not killed. As you can see at the above link in their opinion “Street Hypnosis” is indeed a Licensable Activity despite the trainers of this “new wave” hypnosis and the majority of their misinformed and misguided students stating on various internet forums that in their opinion this is not the case! To further clarify matters I personally wrote to Every and I do mean Each and Every (in excess of 400+) UK Council Districts Licensing Enforcement Legal Departments to see what their expert legal advisers opinions are on this matter and it was no surprise to me that reply after reply after reply confirmed that I was and am correct that Street Hypnosis is a licensable activity. I do however feel that anyone who refuses to face up to the facts outlined above and continues to do Street Hypnosis etc or teaches people and does not advise them of the above information and the truth that these are Facts and Truthfully Correct should be thrown out of Equity as to ignore such facts is Negligent to say the least. a) Protect The General Public From Badly Trained – Unlicensed – Uninsured & Dangerous Stage & Street Hypnotists. b) To Protect the reputation of the Hypnosis Industry. c) To help my fellow Hypnotists to get cheaper insurance and to ensure that they always perform 100% Legally, Lawfully, Insured correctly and in a SAFE manner at all times. That’s pretty much all I want to say about Street Hypnosis…. Apparently the new Government are trawling through acts of parliament to find outdated ones, those that could invade on peoples privacy, and also those which are hardly ever enforced or create too much paperwork for no particularly good reason and one of the things they are proposing to scrap is the 1952 Hypnotism Act. Now should that occur on the one hand it would make life far easier for all UK Based Hypnotists to work, get shows and earn their livings, however it would be even more important to ensure that all Hypnotists were obliged to have the correct level of training (especially in Health & Safety etc) before they are let loose on the general public. And That’s Just About All Folks…. On the subject of work available for Hypnotists its my experience that despite the recession and other factors such as the smoking ban, effects of the Licensing Act 2003 and suchlike that there is still plenty of well paid work available for those who are good at Marketing, Publicity and Promotion. So Now Having Read This I Honestly Don’t Think there’s anything else that needs discussing at the Equity Hypnotists meeting so its time for me to go! Have a great day guys and sorry I can’t be with you in person at the event, but frankly I’ll be too busy earning money from Hypnosis to be there and anyhow I’ve got to go to London that very weekend for the International Hypnosis Conference – http://www.internationalhypnosisconference.com at which I am making a presentation. Have you booked your place to attend yet? I’ll be at all the events (including the VIP stuff) so look forward to meeting some of you there in person. NOTICE – One final thought, if any of you have an email list or are members of lots of magical or hypnosis forums, social network sites etc and would like to earn $148.50 for every sale generated by you simply promoting the worlds most comprehensive home study Hypnosis Course which is being launched on 21st November 2011 then inbox me at royle@magicalguru.com and I’ll contact you shortly to explain how to start earning big money from this project. Saturday 1st & Sunday 2nd October 2011 – At True Serenity – Rochdale – www.trueserenity.co.uk – 9-00am until 6-00pm each day. SAVE 50% OFF NORMAL COURSE FEE & RECEIVE NUMEROUS FREE GIFT’S WHEN YOU TAKE ACTION & SECURE YOUR PLACE TODAY..
Do you want to learn the secrets that Nick Davies has been honing that have enabled him to work with top GB Olympic Boxing Coach Bob Dillon or 4 times Gold Medal winning Discus Thrower Kevin Brown? 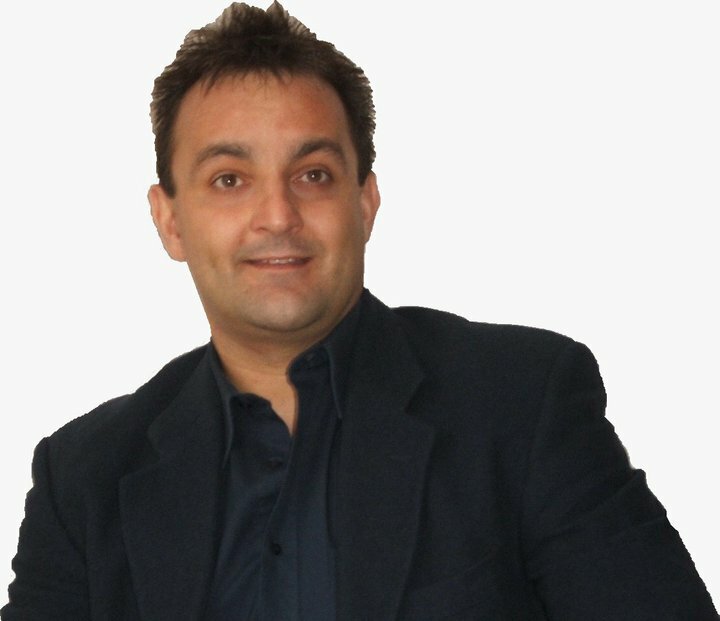 “An excellent course for all abilities, I am an hypnotherapy student and this has given me bags of confidence and the motivation to go out and do it” Vince Benedict. Have you ever wanted to develop a set of skills and techniques specific for the sporting world? Nick Davies will be running two 2 day workshop on Saturday 1st and Sunday 2nd October 2011 in Rochdale, England, at True Serenity –http://www.trueserenity.co.uk/ where he will teach you all of the skills and techniques he has learnt and developed to help hundreds of sports men and women achieve their maximum potential. You will not only learn the techniques to help individuals, coaches and teams but also how to market yourself to individuals and clubs. You will also get 6 months FREE membership to his Nick Davies Sports Psychology Associates Scheme and your details will be featured on his website. Plus you’ll walk away with a Professionally Printed and Bound 44 Page information packed Training manual, along with a DVD of an actual Sports Psychology Training Workshop that Nick Davies ran for real Sports People which alone is worth many times the small cost of attending this course. This course also counts to your CPD (Continual Professional Development) and is certificated (Yes You Walk Away with a Credible Diploma) and endorsed by The Warwickshire School of Hypnotherapy. The price for this event is £497 but if you book before Midnight on Sunday 4th September 2011 you can secure your place HALF PRICE for just £248.50. event are limited, so I would advise booking early, to reserve your place book now. The price for this event is £497 but if you book before Mindnight on Sunday 4th September 2011 you can secure your place HALF PRICE for £248.50. PPPS: And Remember to Take A Look At This Amazing Video – Nick Davies is mentioned as this guys “Sports Psychologist” at around 6mins 48 Seconds into the video – http://www.youtube.com/watch?v=1AyXNrhHRLs – don’t you wish you could learn Nick’s Skills and be able to make a fortune helping some of the Worlds Top Sports People and of course also helping newbies to become Top Sports People?